Astrology is a great Mystic Science which has always fascinated me. It is a deep ocean of Knowledge. Astrology is made up of two words, ie Astro- Aster or Star and Logy- Systematic Science. The planetary position in the Zodiac at the time of birth is called Horoscope, Rashi or D/1 Chart. In a Horoscope there are 12 Houses and 9 Planets . The arrangement of 9 Planets in these 12 Houses is called Horoscope which tells about the native. Astrology is based on Past Life Karma, so our deeds in our past life decides our Present Life. Since Human Life is very precious and important, if we indulge in good deeds presently, I feel that there is some scope of getting rid of our past bad Karma. This will in turn help us in leading a good life. Astrology is not only a profession but a passion for me. Every horoscope itself is a great learning, a new experience and I take it as a challenge. My aim is to serve people who are in distress, confused and guide them with the little knowlege I have with a positive attitude. I am grateful to The GOD for providing me the opportunity to connect to you all. My Clients are very dear to me and I try with my heart and soul to help them. It gives me immense pleasure if I am able to bring smile on your faces with my consultation. 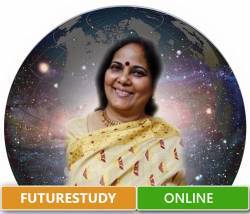 i consulted kalpana ji for my brother\'s marriage, really satisfied with her predictions and remedies. Thanks kalpana ji for helping me and my brother. First of all i would like to thank Astrologer kalpana ji for her wonderful guidance and suggesting me effective remedies.